Announcing the debut of "The One That I Want," a new campaign celebrating the iconic fragrance CHANEL N°5. The film is produced, conceived, and directed by auteur filmmaker Baz Luhrmann (Moulin Rouge!, The Great Gatsby), with Oscar-winner Production Designer Catherine Martin, and features Supermodel Gisele Bündchen. Today, CHANEL premieres "The One That I Want," a new campaign celebrating the iconic fragrance CHANEL N°5. The film is produced, conceived, and directed by auteur filmmaker Baz Luhrmann (Moulin Rouge!, The Great Gatsby), with production design by Oscar-winner Catherine Martin, and features Supermodel Gisele Bündchen. When Luhrmann directed the N°5 film starring Actress Nicole Kidman in 2004, he joined a prestigious line of directors who have collaborated with CHANEL - from Ridley Scott and Luc Besson to Kathryn Bigelow and Martin Scorsese. Like the N°5 women who have gone before her - Marilyn Monroe, Catherine Deneuve, Carole Bouquet and Nicole Kidman - Bündchen is emblematic of her time. Model, actress, mother, philanthropist, and businesswoman, she is one of the most dynamic women of the decade. Luhrmann's strong connection to the world of music, so evident in his feature films, is reflected in his choice of Lo-Fang's cover of "You're the One That I Want." With no words or dialogue in the film, the music is not an accompaniment; it is its backbone. 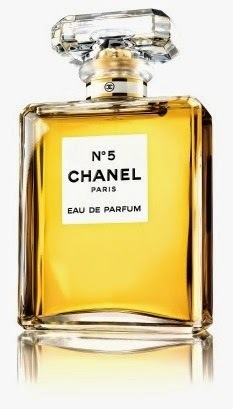 CHANEL N°5, the world's most famous fragrance, was created in 1921 when Coco Chanel asked the great perfumer, Ernest Beaux, to create a fragrance that reflected her vision of modern femininity. N°5 was her lucky number and it was the fifth submission presented to Mademoiselle Chanel, thus a legend was born with the name CHANEL N°5. See The One That I Want. See the interview with Gisele Bündchen. See the Making of the Film. See the Making of the Costume Design. Learn more about Chanel here on the Apparel Search fashion guide. By the way, if you have not yet seen the film, we strongly suggest you watch Coco Before Chanel. If you would like to discuss issues relevant to Chanel please comment in the comments section below or share your thoughts at the Chanel Group at the Fashion Industry Network.